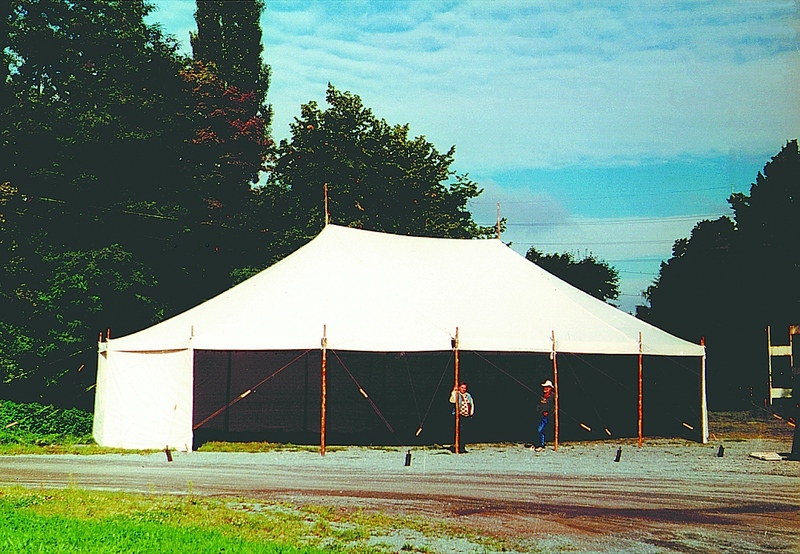 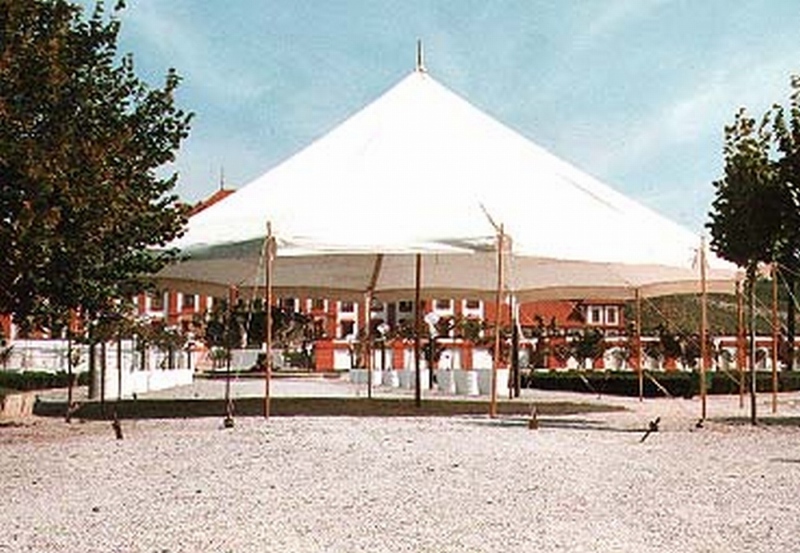 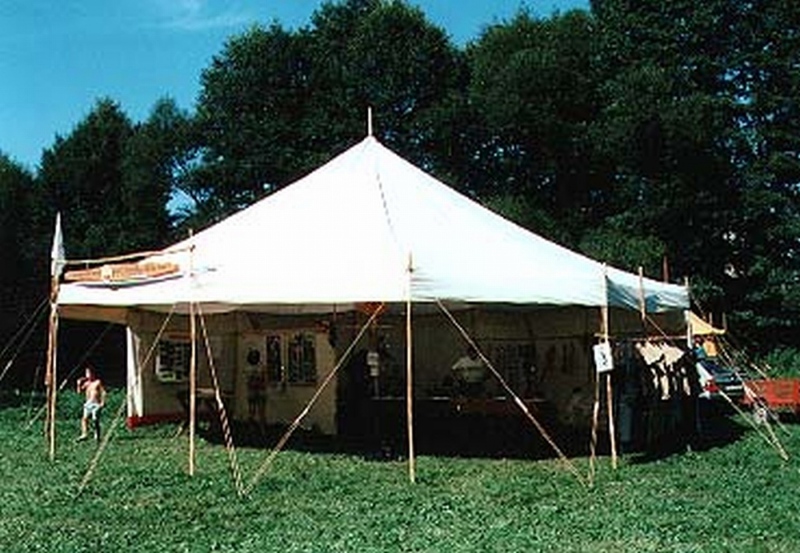 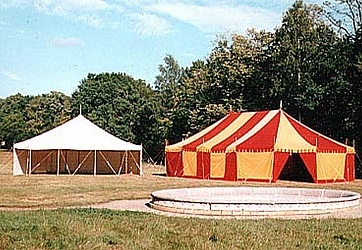 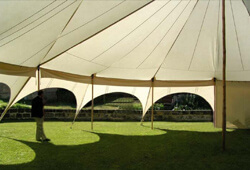 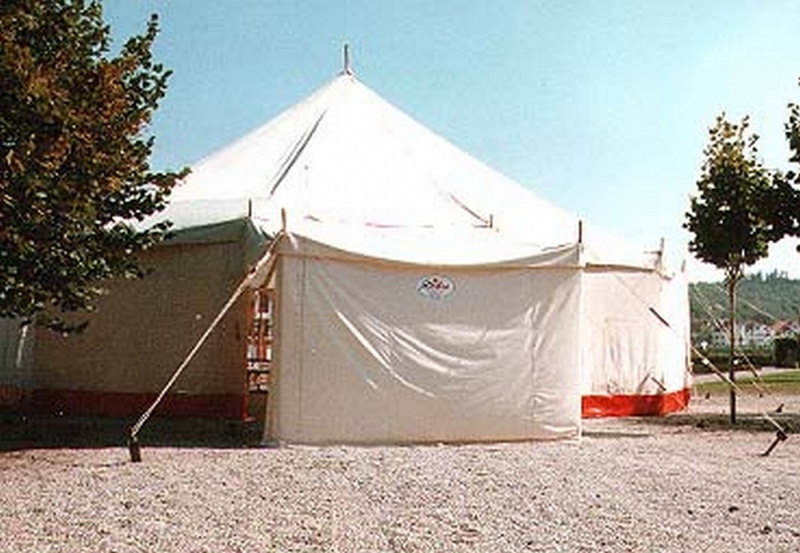 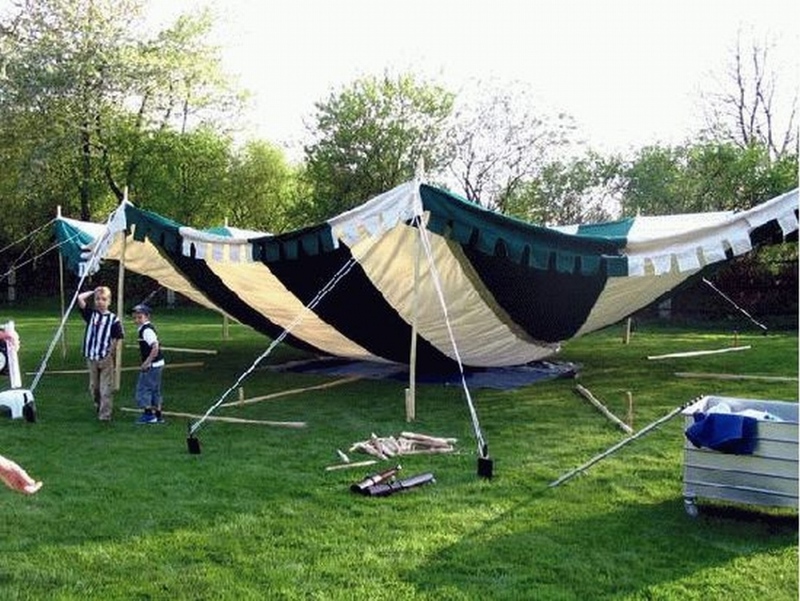 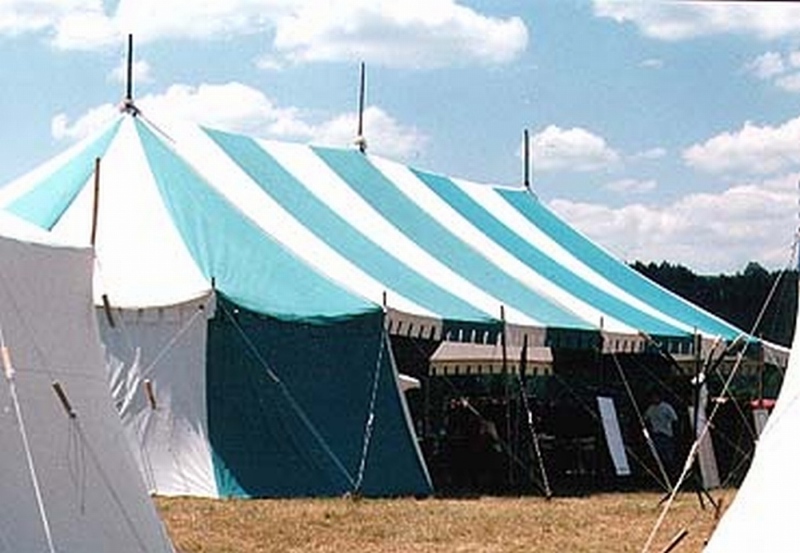 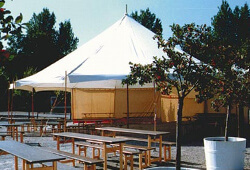 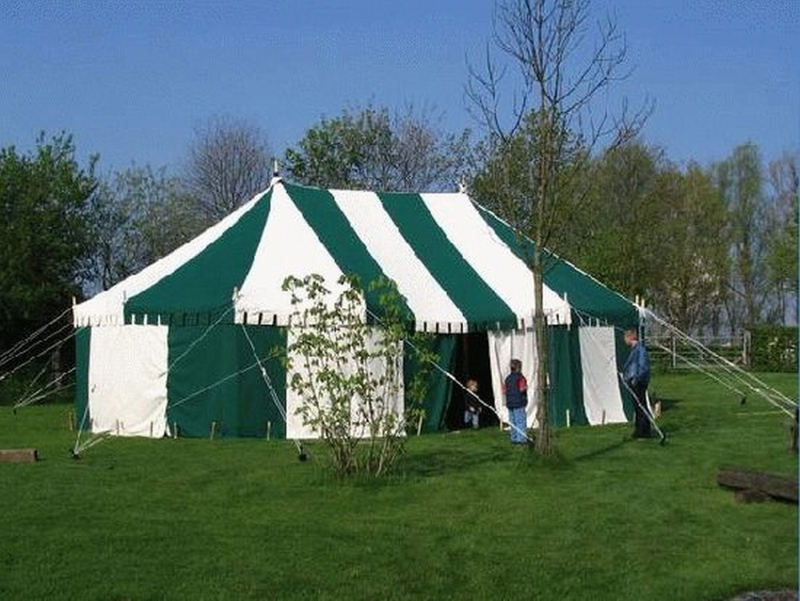 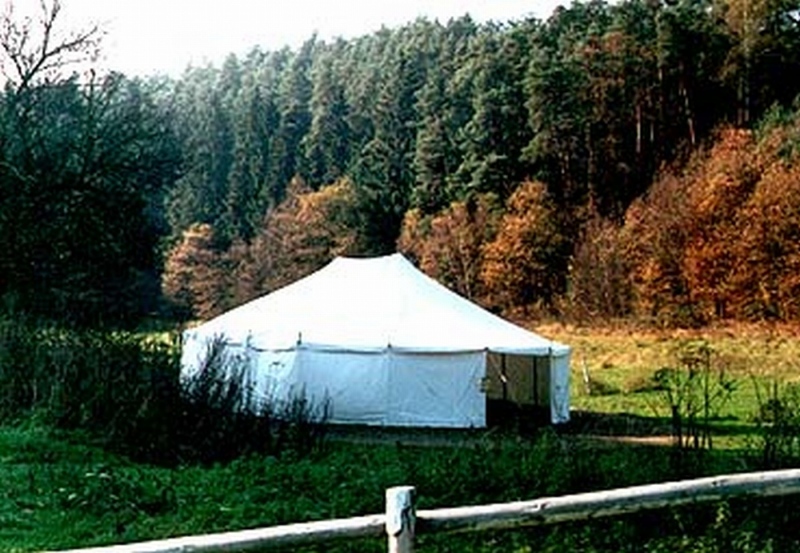 The shape of the FAM WEST round and mast tents is derived from the traditional tried and true shape of the circus tent. 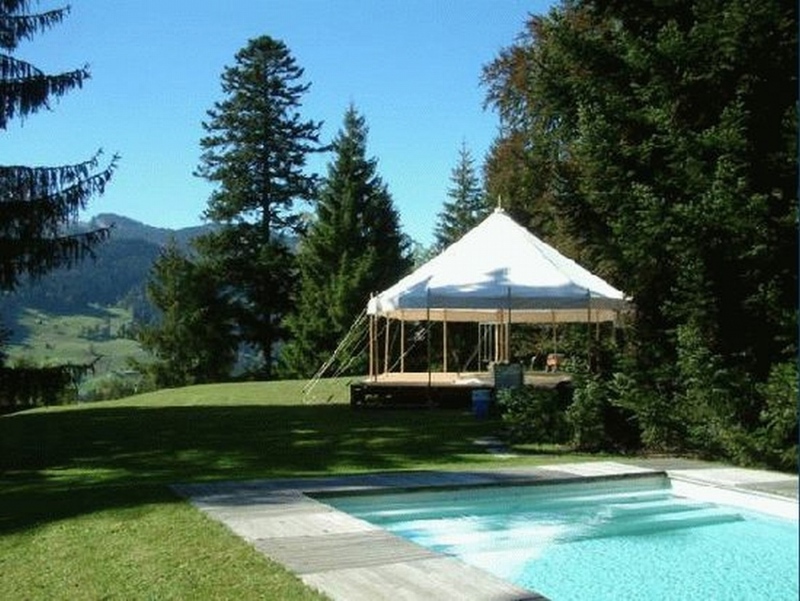 Since each wall can be removed separately, this tent lends itself to a variety of uses. 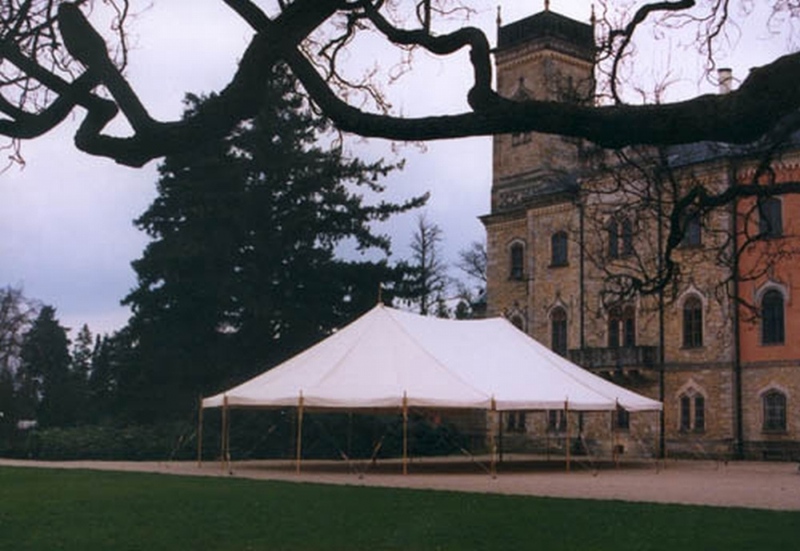 Upon wish, an open or partially open covered airy space can be created, which can be closed within minutes if the weather changes. 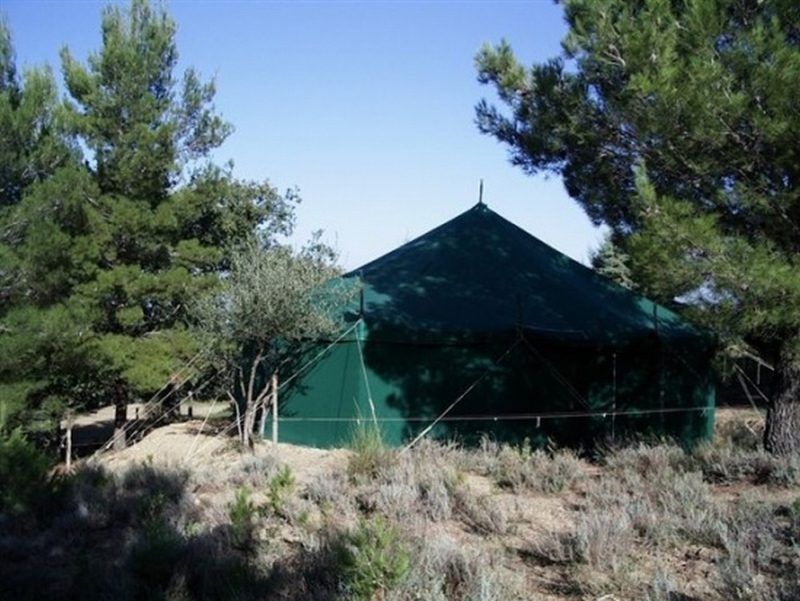 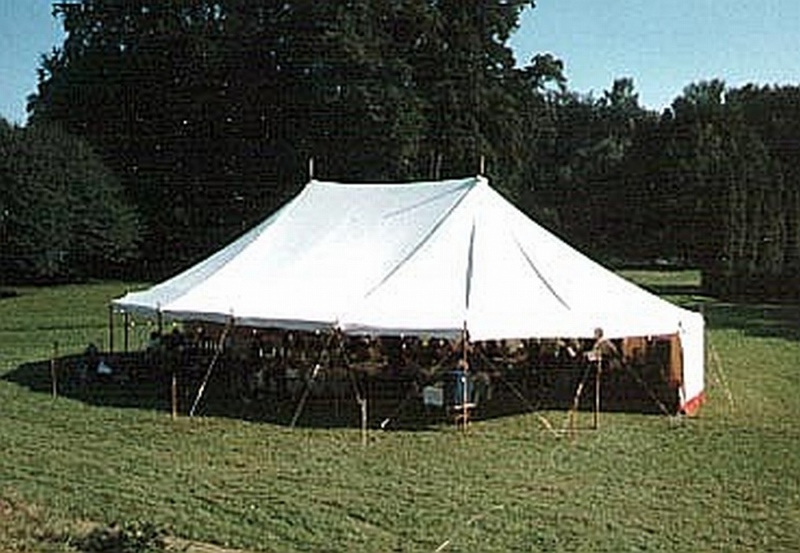 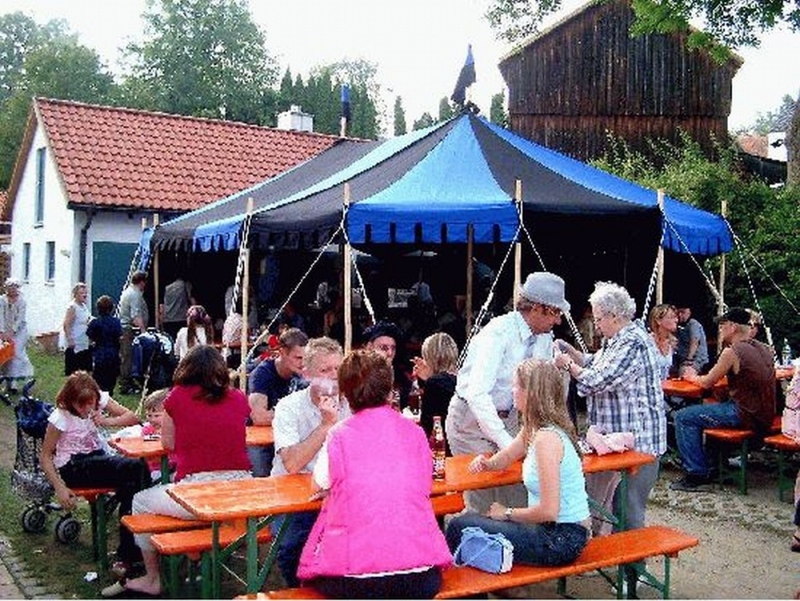 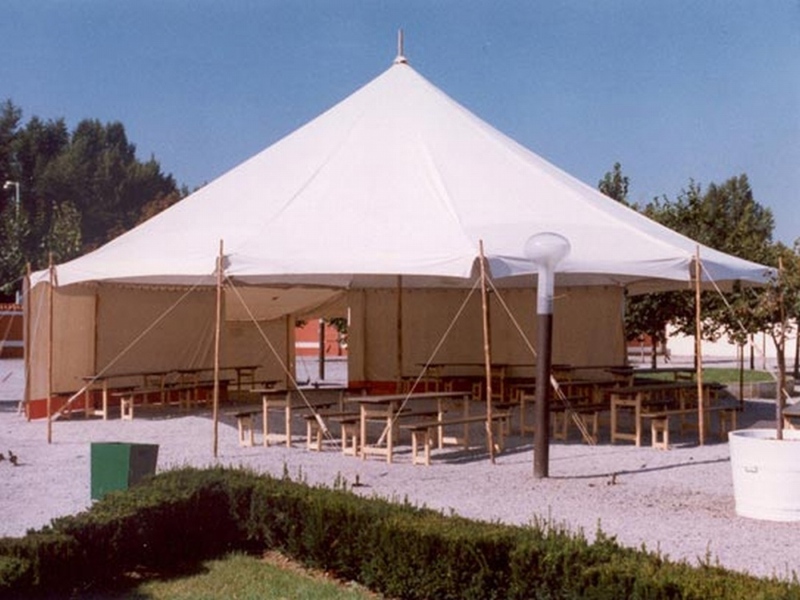 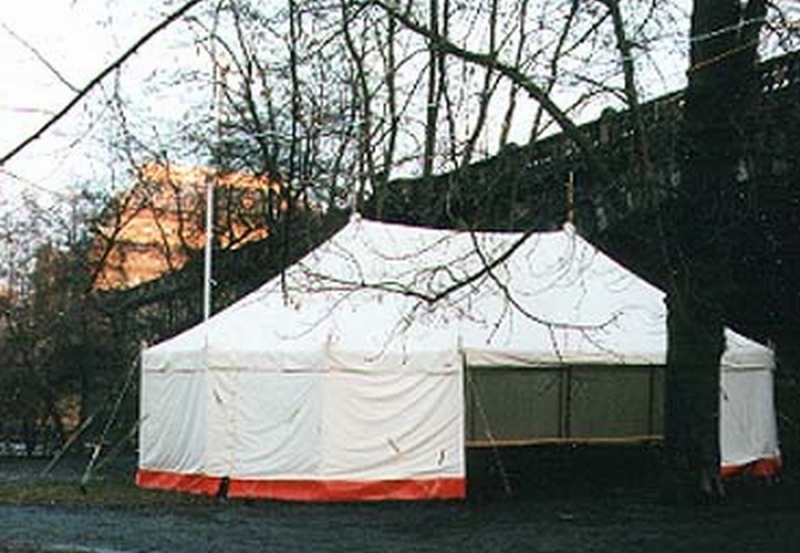 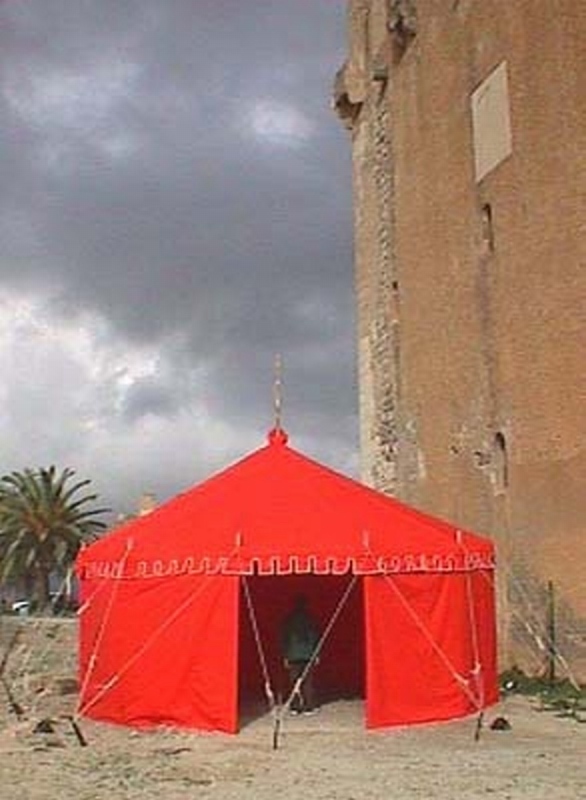 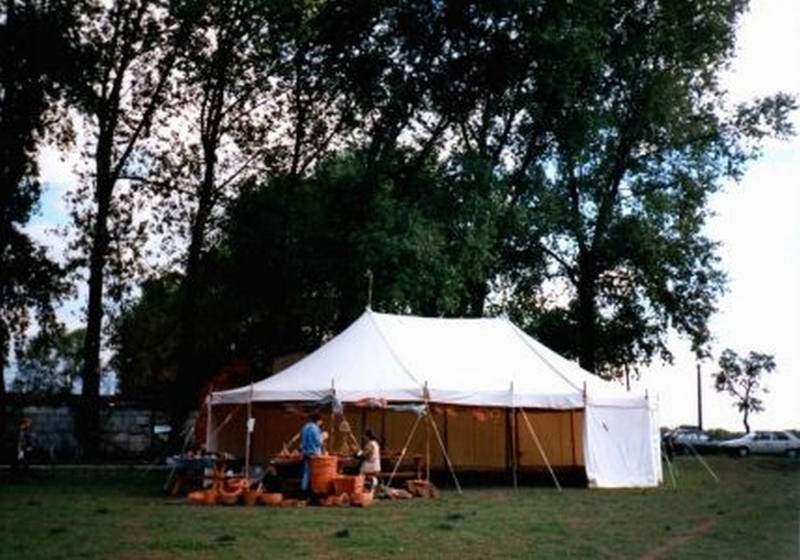 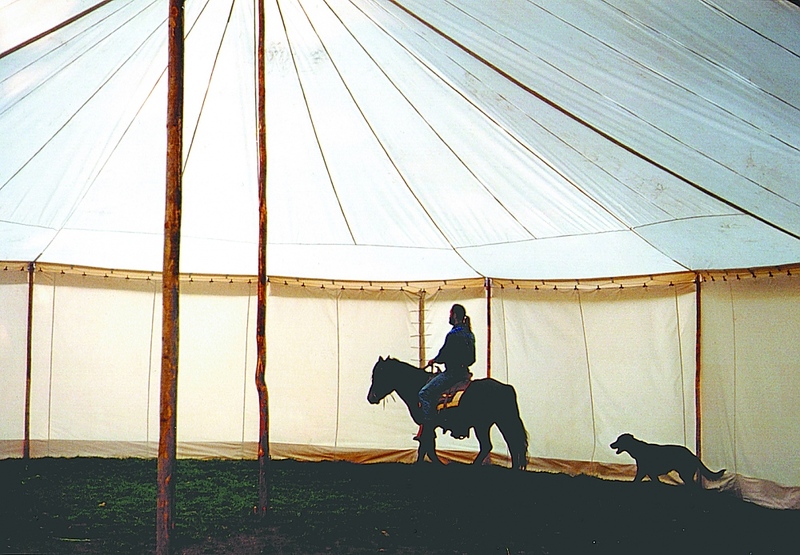 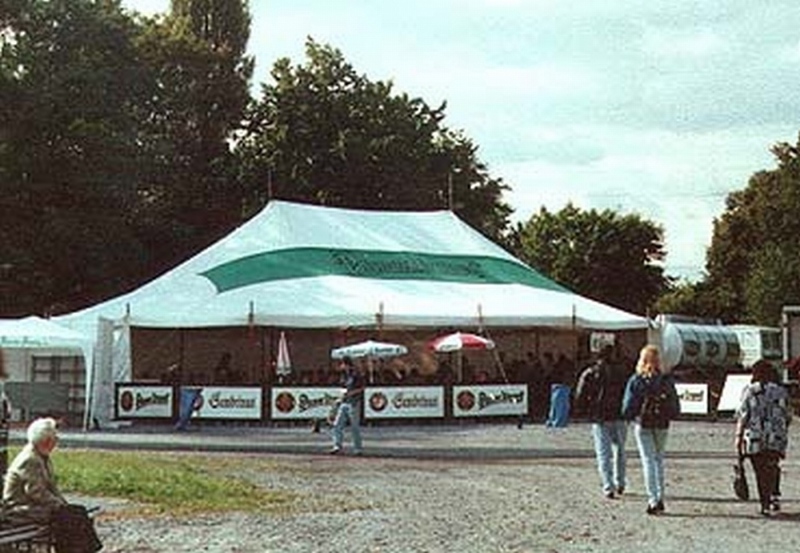 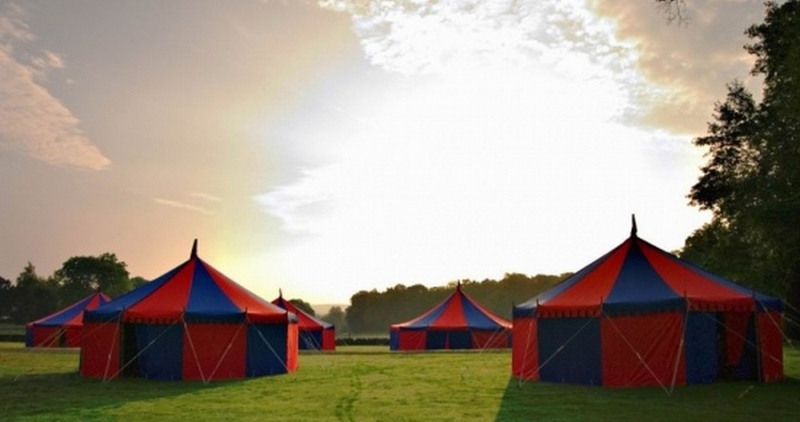 Further, you have the option of ordering additional extensions or apses to the round tent. 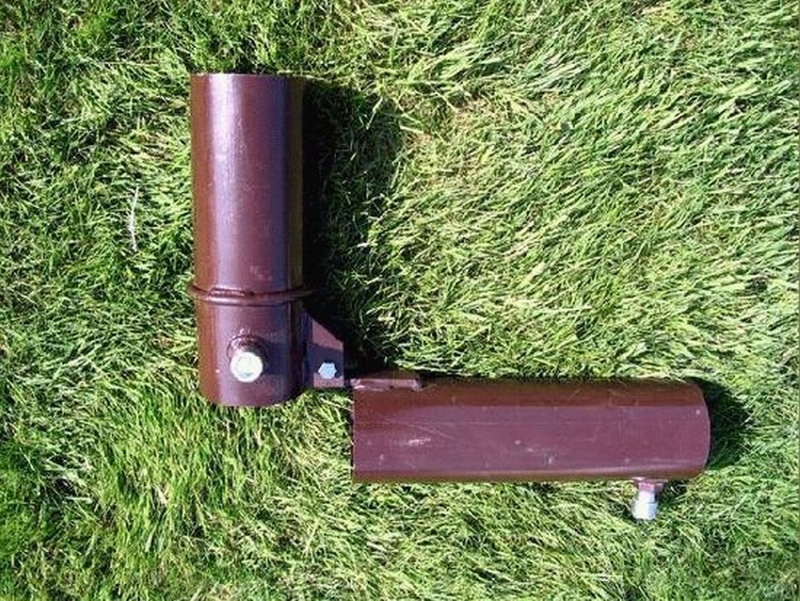 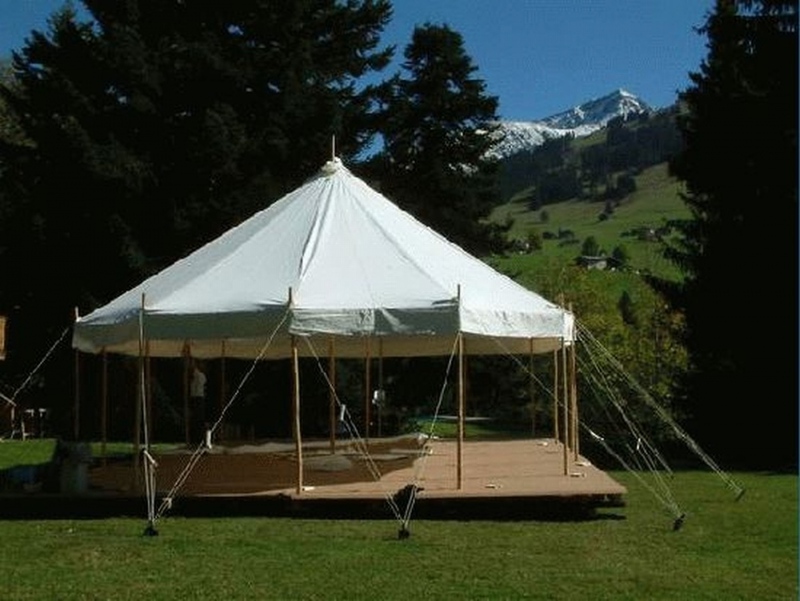 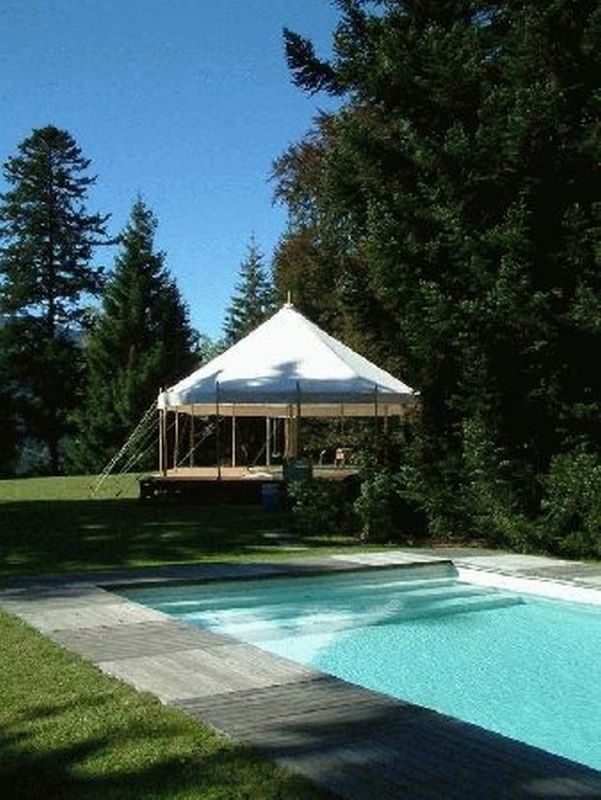 The Chapiteau is an attractive, yet economical option as a garden, party or theater tent. 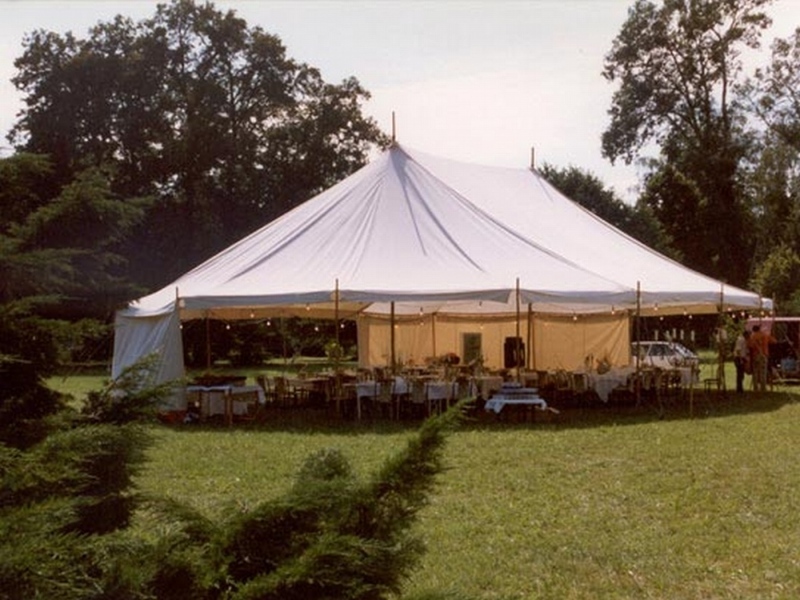 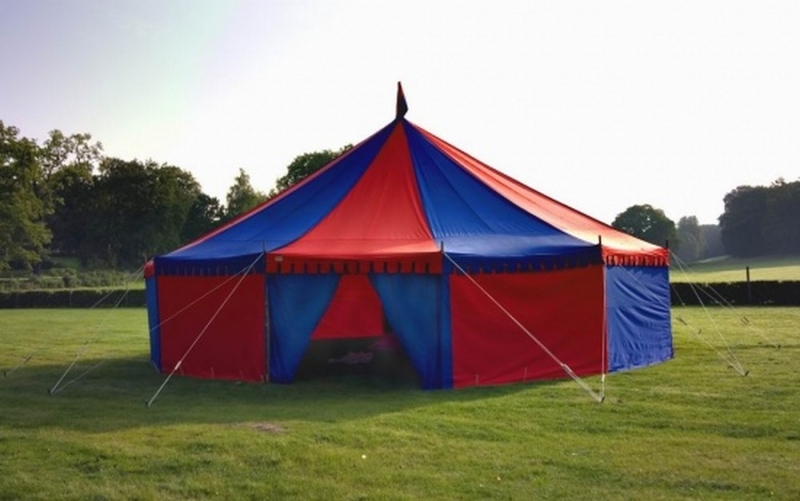 The FAM WEST round and mast tents are made from pure cotton cloth (waterproofed and treated against mould) - Standard 300 gr/m² or heavy cloth 360gr/m² or mixed weave 420 gr/m². 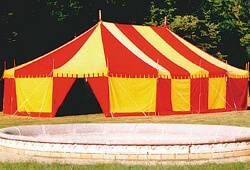 Colored cloth is only available in 300 gr/m². 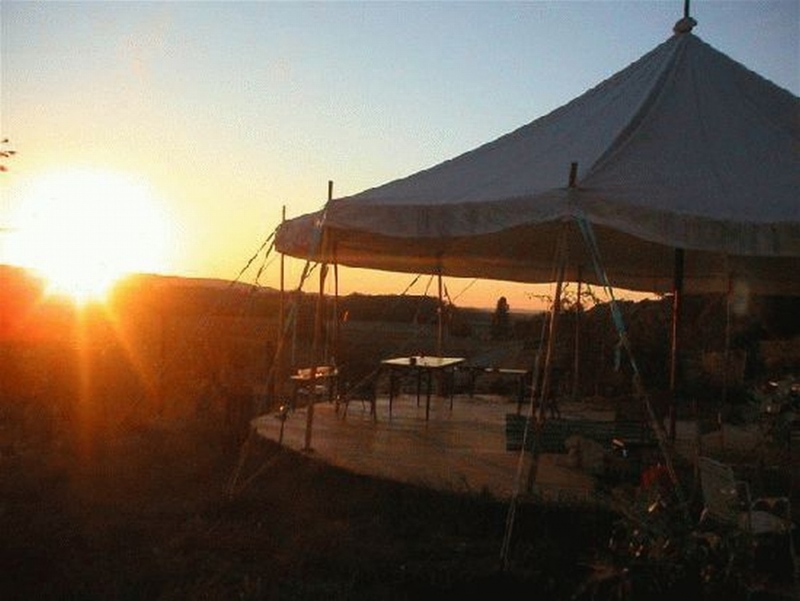 See [Materials], [Colors and painting] !